Mount Pleasant PD Looking For A Stolen Credit Card Suspect | Crime Stoppers of the Lowcountry: 554-1111 | 1-888-CRIME-SC | Anonymous tips earn cash rewards with Crime Stoppers of the Lowcountry. The Mount Pleasant Police Department is seeking the public's help to identify the man pictured below. 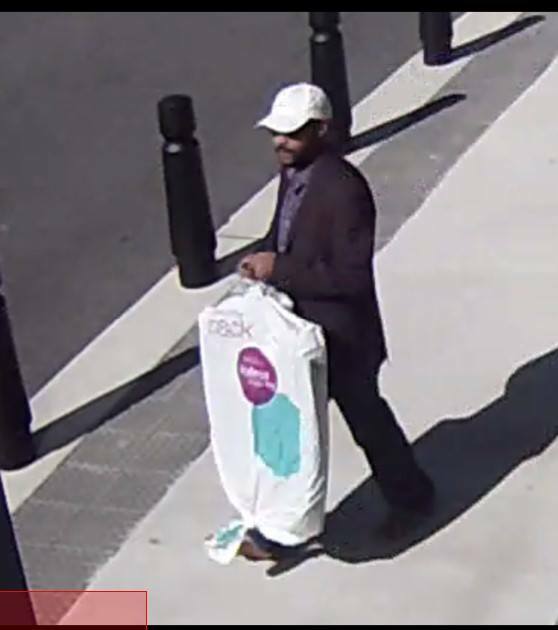 He is suspected of using a stolen credit card to purchase merchandise at Nordstrom Rack on Bowman Road.